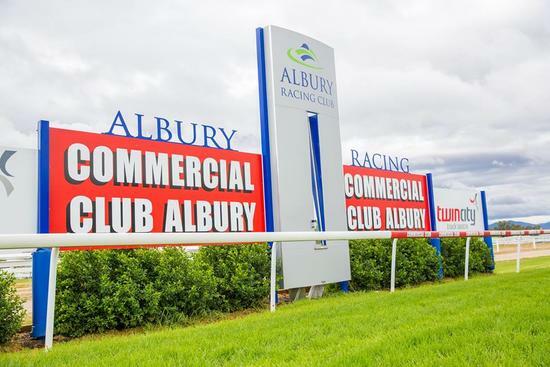 The Craig Widdison Yard will supply a number of runners to Albury on Saturday, December 16 with unsettled conditions forecast racing on a current good 4. The first of the stable runners will enter in race two with Mr Fergus to be ridden by Nick Souquet jumping from barrier 11 with the four-year-old gelding returning from a spell. He was last seen finishing third of 10/1400 m at Echuca in a maiden and won't be far away in the running, having placed first time out previously. Race three will see 2 Widdison prepared runners compete over 1400 m with Canova to be ridden by Carly Frater-Hill and Cochranes Gap to be ridden by Stacey Metcalfe jumping from an awkward barrier 15. Canova is an eight-year-old gelding who will leave barrier 12 & will head out for the new trainer having placed from two of his last eight, he will race on speed having never won past 1200m. Cochranes Gap is a six-year-old gelding who was last seen finishing at the tail of the field at Cootamundra arriving 5.2 lengths behind the winner. His form prior to that was fair and returns from a 10 week let up and is likely to race towards the rear. Lord Laurie will enter in race (4) to be joined by Chelsea MacFarlane in a class one handicap over 1175 m with the runner resuming from a break after finishing fifth of 13/1300 m at Corowa some 24 weeks ago. He resumes here with previous first up form having won at Wagga when last first up, he is likely to race on the speed and looks an each way chance here. Razzle Dazzle Rock will compete second up from a spell with Nick Souquet aboard the runner jumping from barrier 4 in a benchmark 60/1175m. Last time out the seven-year-old gelding finished 8 of 10 at Wodonga in a BM 64 handicap, he will likely race on the speed carrying two extra kilos from the last outing. Newcomer to the stable Fish Bone Fry will be ridden by Simon Miller competing over a mile after the runner finished second of 7/1660 m last time out. A quick backup from Wangaratta for the first outing for the new trainer after placing twice from three previous runs by the ex Adelaide campaigner.